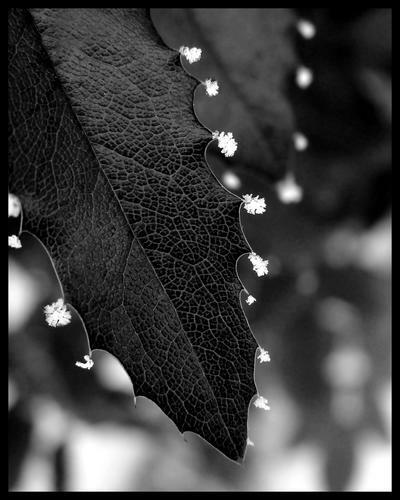 'Hoar Frost and Holly' by David Sidwell - DPC Prints! This was taken near my home when the temperature had not risen above 5 degrees or so for three weeks. Chilly! This photograph originally appeared in the Shallow DOF Challenge.